Hazelnut Milk Ice-cream. Dairy and refined sugar-free! GLUTEN-FREE, GRAIN-FREE, DAIRY-FREE, REFINED SUGAR-FREE, PALEO, SPECIFIC CARBOHYDRATE DIET (SCD). Hazelnut has always been my favourite ice-cream flavour. 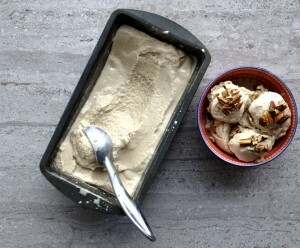 I first made this Hazelnut Milk Ice-Cream after my homemade hazelnut milk went so well. I love almond milk but I wanted a change and I was delighted with the results. When I started the Specific Carbohydrate Diet (SCD), I really thought my ice-cream days were over. Honestly, there is no reason you can’t enjoy delicious dairy and refined sugar-free ice-cream. 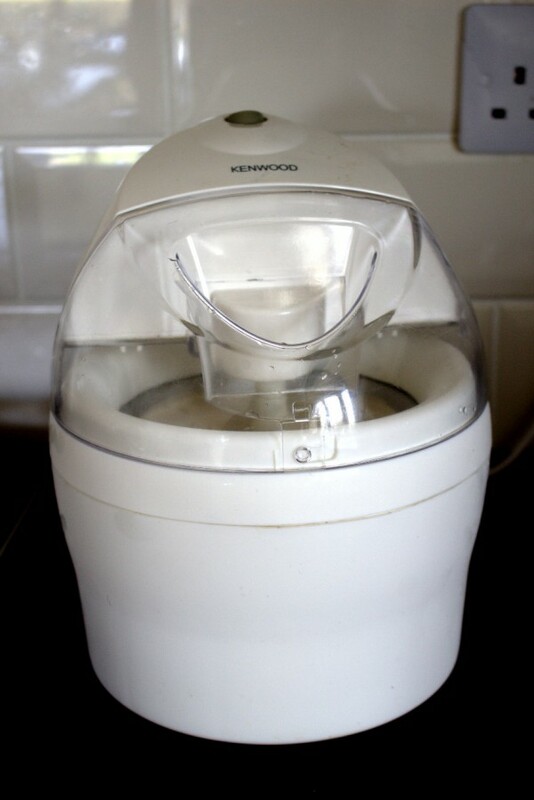 I bought an ice-cream machine several years ago before I started SCD. After successfully using it a few times, I eventually put it away to gather dust in the attic. A few months ago, I brought it out again and I have been having great fun experimenting ever since. 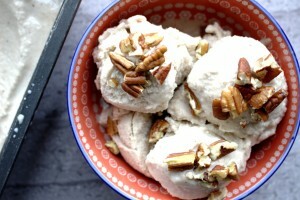 Dairy-free ice-cream can be just as delicious and as “creamy” as regular ice-cream. I do think it’s worth buying a good ice-cream machine if you are following SCD. It’s important to be able to make delicious snacks for yourself. Honestly, I wouldn’t have been able to stick to the diet if it wasn’t for being able to create delicious treats for myself. Nearly two years on, I still find SCD difficult at times but I find that always having snacks ready helps a lot. If I’m going to a friend’s house for coffee, I’ll bring my own biscuits or cake. Now if the weather is warm here or I just get a craving, I’m ready with my hazelnut milk ice-cream in the freezer. All ice-cream machines differ slightly, so you will need to read the instructions on your one carefully and follow those guidelines. I usually freeze the ice-cream in a loaf pan or a glass freezer-safe container. I like to enjoy this topped with some broken pecan pieces. To make this ice-cream, you will need to first make my hazelnut milk. You need to start preparing the milk the day before you want to make the ice-cream. You will find the recipe by clicking here. 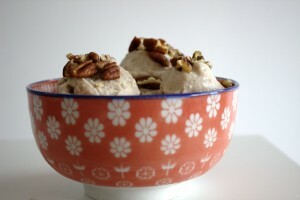 A delicious dairy and refined sugar-free hazelnut milk ice-cream. Paleo-friendly and suitable for the Specific Carbohydrate Diet (SCD). Pour all the ingredients into a blender and mix well. Pour it slowly into the ice-cream machine. Continue to churn according to the manufacturer's instructions. 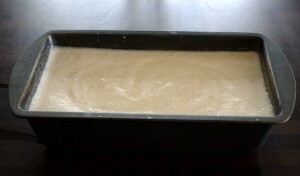 Once the consistency is thick enough, pour into a loaf pan or other freezer-safe containers. 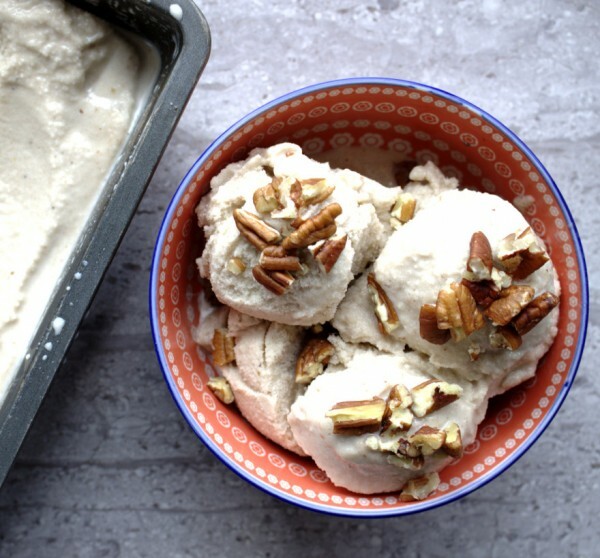 Freeze for several hours until the ice-cream firms up and serve with some broken pecan nuts.